Uber set out to conquer the Chinese market through operations in the large cities and towns and an estimated war chest of $1 Billion. China is a difficult market to crack especially for foreign internet companies with Facebook, Twitter, Instagram and Gmail banned. Uber ranks second in China in terms of market share with 11% after Alibaba Group Holding Ltd backed Didi Kuaidi, which has 78% market share. Uber is now facing a new threat in its Chinese operations, driver rip-offs. In an attempt to hack the Chinese market, Uber has been spending millions of dollars on free rides for customers and bonuses to its drivers. The core of this model is to train its drivers and also market the services to customers. However, these drivers have led to the creation of a cottage industry using modified smartphones and software to make fake bookings and trick Uber into forking out cash for these trips according to Bloomberg. The scam involves two options. One involving the driver in its entirety, where he/she purchases a hacked smartphone that can operate with multiple phone numbers and therefore multiple Uber accounts. According to Bloomberg, Drivers use one number to act as a rider and request a lift, and then accept the trip as a driver with another phone number. The driver will then let the booking show on Uber’s GPS tracking software as the driver’s car heads to the pick point of the rider’s request. They will then get paid for the trip by Uber for taking the customer on the trip. The hacked phones are mostly modified iPhone 5C, complete with a unique 15-digit identity numbers to trick Uber’s software into thinking they are different phones, and hence, different users. The second scam option involves working with other scammers on the internet. Usually, these transactions take place in online forums where one request a fake fare from professional ride-bookers. These bookers have software tailor made to put a location specific ride request near the driver. The driver then makes the trip as the booker monitors the ride remotely, confirms the journey was made and then pays Uber. The booker gets a fee for the service and reimbursement for the trip fare, while the driver gets the fare and bonus. According to Bloomberg Uber has recently upgraded the software, keen on locking the scammers away. Online Chinese market places such as Taobao are also selling ready-made Uber driver and rider accounts. 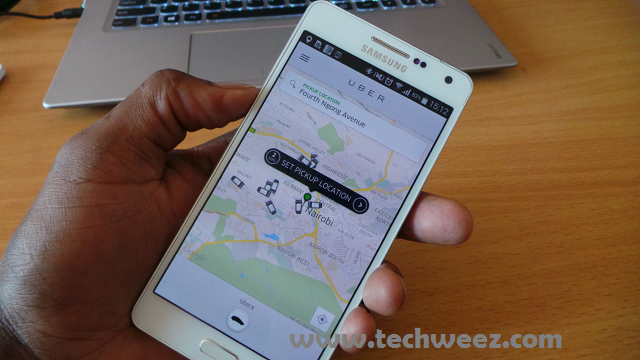 Uber has reported over 1 million rides in the Chinese market. We are not sure how many of these were fake rides.